Bugs in Bangkok before Bugs in Europe! Insects as Food and Feed constitute one of the major options for a future source of protein to feed our fast growing population expected to reach about 9 billion in 2050 : at AETS in Bangkok where I am working in this field, it has been understood and there is an increasing move and development to the Ento way ! 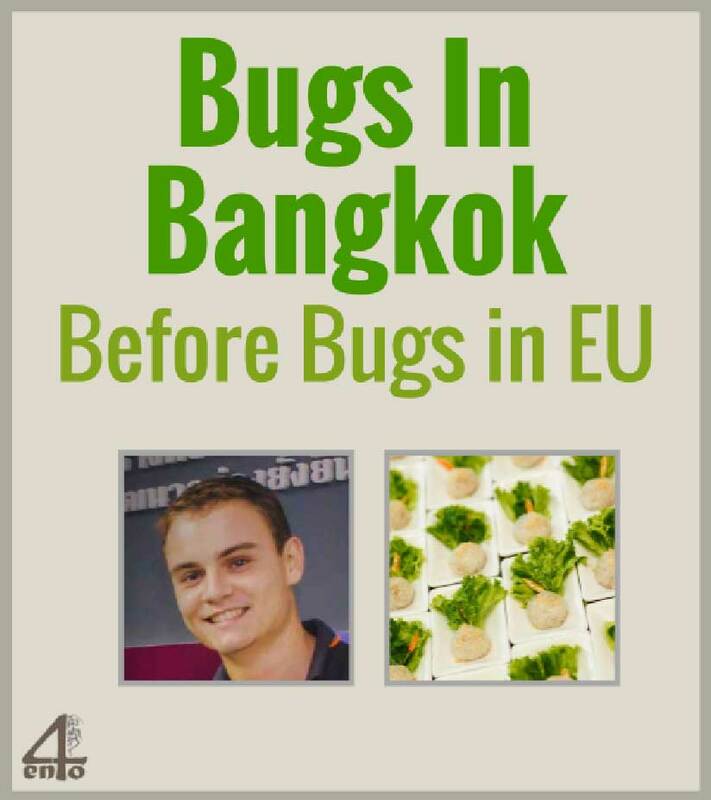 It has been especially highlighted during the last “The Bug and The chef” food culinary experience in Bangkok, co-organized by Bugsolutely, Kasetsart University and AETS, with Massimo Reverberi, Dr. Wasaporn Chanput and I respectively. The culinary experience, where bamboo worm with chocolate mousse, silkworm on wasabi foam or even savoury crickets on watermelon were served, gathered many curious and finally convinced participants (all of them, no doubt !). Experts from the insects as food sector also presented some insights and background, covering the whole value chain “from farm to table”. While insects as food is a sector that has always been present and highly active especially regarding cricket farming, this event enabled a different educational approach and brought insects in a more traditional French cuisine context, well recognized worldwide. 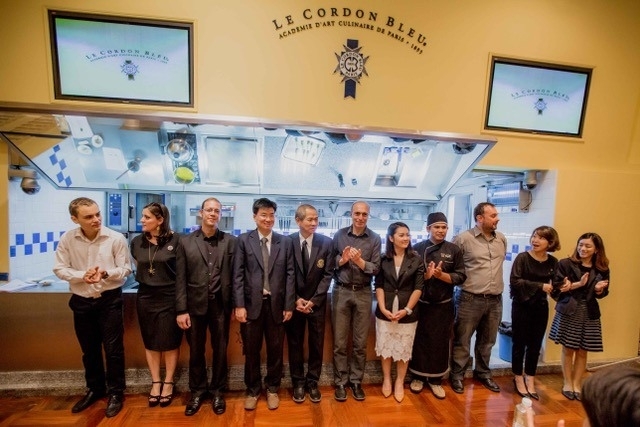 Major support to enable this event to take place was provided by The Bugs Café from Cambodia and the Cordon Bleu Dusit Culinary School in Bangkok which we thank again for their motivation and support! 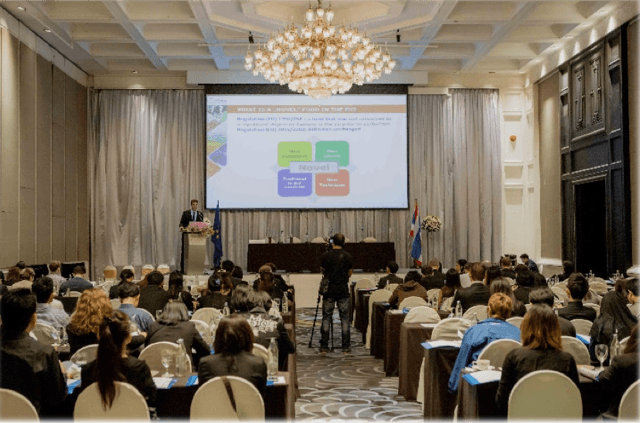 On the 26th of October, an International conference on the EU Novel Food Regulation and the Special Case of insects organized by the Delegation of the European Union to Thailand, enabled the hundred and fifty participants to dive into the detailed characterics of a highly expected regulation update regarding Novel foods authorization in the EU. In short, while this update is providing a simplified application process for the beginning of 2018, it also provides a possibility for application time reduction and applicants’ collaborations. As a concluding event, on the 27th of October, the National Bureau for Agricultural Commodities and Food Standards from Thailand, hosted a workshop focusing on the first step of the value chain : The farm. More precisely, the Good Agriculture Practices being defined and implemented in cricket farms were among the points of discussion, in relation to the whole value chain safety insurance, one of the crucial points to build a dossier for a Novel Food product allowance. Contributing to the development of the insects as food sector, as a sustainable and innovative industry.